During my coverage of the Egyptian Revolution, my son called me up from Washington to tell me how lucky I have been as a journalist –– being in the right place at the right time. Working as the Washington bureau chief of Al Jazeera helped me in covering 9/11, and today –– after 24 years of living in the United States –– working in Egypt for Al Arabiya, I was given the opportunity to cover the 2011 Egyptian Revolution as it happened. During the revolution, I was also able to highlight some taboo practices in the Arab media when I felt that the principles of fair and comprehensive coverage were being compromised. Working as a professor at AUC, I was able, most importantly, to take my journalistic experience to the classroom, knowing that AUC would respect my integrity and right to speak up. Coverage of the January 25th Revolution, of course, differed from one channel to the other. Government-owned media in Egypt intimidated balanced and fair journalists, who were viewed as enemies of the state. This reminded me of George Bush's infamous statement during the so-called war on terror, "You're either with us or against us." State media also intimidated private TV stations owned by Egyptian businessmen who supported the regime. All were asked to exhibit Egyptian flags and "No to Sabotage" images on the screen, relaying a subtle message that those who support the revolution are saboteurs. By the same token, I'm dissatisfied with the current rush to glorify everything about the revolution, not speaking for the silent majority who think that the revolutionaries might have gone too far on some fronts or that there could have been another way of doing things. This idea of applauding those in power is against proper journalistic practice. As journalists, our job is to tell the truth and not favor one political faction over the other. TV stations and other media outlets should not propagate any political agenda. You can't be a journalist and a political activist at the same time, nor can you be a member of parliament and an editor in chief. Journalists are like members of a jury: disinterested yet interested. Their primary duty is telling the truth and presenting both sides of the story, and then letting the audience formulate its opinion. In order for Egyptian media to thrive, we need to listen to people from different democratic countries on media structure and ownership, be exposed to various media models, and pick and choose what suits us best. New rules need to be established within a proper system, where all are held accountable to a people's parliament and an elected government, not to a certain political party. We also need to dismantle government ownership of the media, not just by getting rid of the Ministry of Information, but by empowering local media and local politics. At the Kamal Adham center, we are trying to do just that. The Egyptian Civil Society Project seeks to empower and support civil society. The center also plans to hold a conference, inviting directors of radio and TV stations in all governorates to give their views on what we need to do to reform local media. Building a new system with new institutions in place is the path to reform, and no matter where the road takes us, a journalist's integrity is the one thing that can never be compromised. 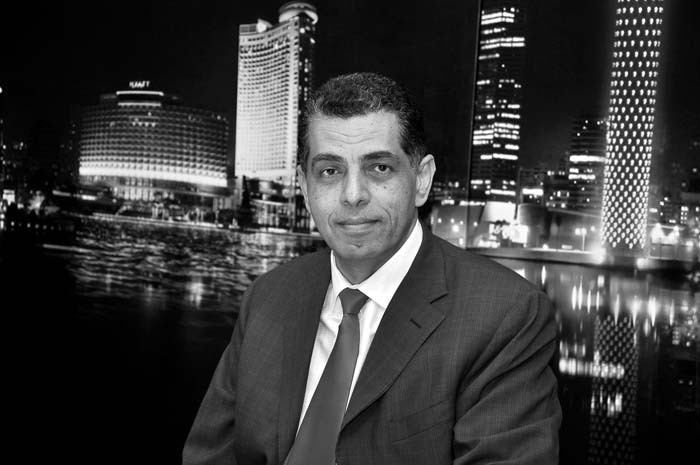 Hafez Al Mirazi is professor of practice at AUC and director of the Kamal Adham Center for Journalism Training and Research. Weeks before January 25, I received a phone call from a senior medical school student in one of the Egyptian Universities, saying she wants to invite me to a panel discussion at her University to speak about the current state of affairs in Egypt. She wanted me to particularly address the problem of Egyptian youth becoming increasingly adamant about leaving Egypt upon graduation and how hopeless they've become about finding a job or a decent living in their country. I gladly accepted the invitation. Using the Internet and phone calls to invite fellow classmates, that student –– who turned out to be from Al Minya governorate –– managed to arrange the panel discussion at a bookstore in Heliopolis, after security personnel at her University informed her that I am not allowed to come and that she may not advertise for the event on campus, even if it won't be held on University grounds. I must say, I admired her persistence and strong character. I was even more impressed when I met her personally and her fellow classmates at the panel. They were confident, eloquent and good listeners. This gave me a strong feeling of optimism about Egypt's future. One of the questions posed to me during the discussion was whether I am optimistic or pessimistic about the future of Egypt and, without hesitation, I replied that I'm optimistic for the following reasons: 1) The situation in Egypt has become so bad that it couldn't get any worse. It could only get better. 2) Egypt's history throughout the past 200 years has been characterized by ups and downs, moving forward and then taking steps backwards. Every progressive phase began at a better starting point than the preceding phase. The recent downhill period, which extended for 30, and some may say 40, years had to come to an end. 3) The four years between the defeat of the Egyptian and Arab armies in the 1948 Palestine war and the 1952 Egyptian Revolution were characterized by corruption and political turmoil, which increased people's sense of hopelessness. These feelings were swiftly transformed into happiness and optimism with the breakout of the revolution in 1952. We should not underestimate the psychological change that could take place overnight with the onset of positive changes in the Egyptian ruling system. 4) Even though there are difficulties, we must acknowledge the positive changes that have taken place and that pave the way for remarkable things to happen. These changes include the spread of education (even if it's not of a good standard), women going out to work and playing a much bigger role in Egyptian social life, and the increased interaction of Egyptian youth with the outside world. Everything that happened from January 25 to February 11 showed me that I was justified in my optimism and made this optimism even stronger. Slogans of "Hold Your Head Up High; You're an Egyptian" resonated throughout the country. We saw Egyptian youth of all social classes cleaning up the streets and washing statues, marking the beginning of a new era in Egyptian history. 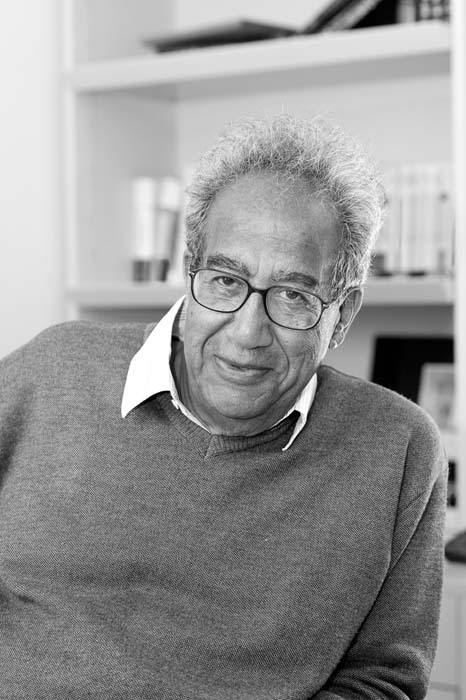 Galal Amin is professor emeritus at AUC. This is a summary and translation of an Arabic article written by Amin and published in Al Shorouk newspaper on February 18, 2011. Is This a Facebook Revolution? The process that unraveled in Egypt starting January 25 of this year took everyone, including activists and scholars, by storm. No one thought that what started as a call to dismiss the minister of interior would end up ousting the president, especially that such demonstrations have been called for regularly and never managed to gather more than a few hundred protestors at best. The unexpected turnout and the outcome that followed prompted euphoria, but also misleading analysis of where this "revolution," or more accurately "uprising," came from. The idea that this is a "Facebook Youth Revolution" is not only naïve and misleading, but, more importantly, dangerous for how we understand the prospects for future mobilization and change. While the telecommunication revolution from cell phones to social media networks, such as Facebook and Twitter, has compressed time, space and cost of mobilization, these tools have existed and have been used for political purposes long before the 25th. Moreover, in Egypt, with more than 40 percent of the population living under the poverty line and more than 30 percent of adults being illiterate, it is difficult to assume that the majority of protestors even use Facebook. Rather, any student or close observer of Egypt can easily understand that what happened since the 25th was a culmination of different forms of mobilization over the past several years: the cumulative effect of protest movements against the war on Iraq in 2003 and Gaza in 2008, the rise of the prodemocracy movement with Kefaya in 2004 - 2005, the labor protests that started in Mahalla in 2006 and spread throughout Egypt to include more than 1.7 million participants since then, and finally the anti-sectarian protests that peaked after the church bombing in Alexandria early this year. Each of those movements brought us closer to the 25th by bringing people together to break the fear barrier, politicizing them over specific issues that they care most about, re-instating the dynamics of collective resistance and active expression against different forms of abuse (social, political or economic), and exposing the regime's exploitive policies on all those fronts. This revolution was not only about middle and upper class youth in Tahrir Square who rightfully want another president, but it was also about young and older people in Cairo, Suez, Arish and Beni Soueif who do not want to have to die in lines for bread, water or medical care, or to be abused in police stations, or to have to take their children out of school to earn a living. Such a clear understanding of the uprising is necessary for it to be a complete revolution. It is important because it allows us to appreciate the continued forms of mobilization and protests, not only in Tahrir, but also in factories, villages and popular neighborhoods, over socioeconomic rights. It is extremely important to help us understand that a democratic transition is not only limited to free, fair and regular elections –– which are key –– but also includes the issue of citizenship, which comprises socioeconomic and civil rights. 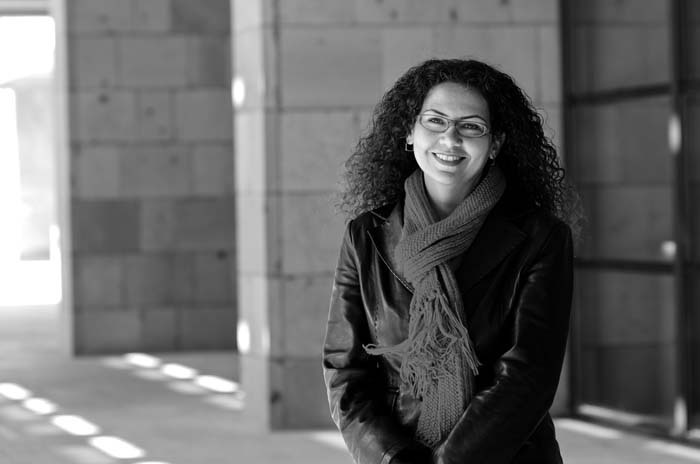 Rabab El Mahdi '96, '98 is assistant professor of political science at AUC. January 25 has already lent itself to the name of the Egyptian Revolution of 2011 that saw the downfall of one of the oldest serving Arab tyrants. Prior to the revolution, the 25th of January was known as Police Day, commemorating a 1952 incident when the British army besieged the Egyptian police station in the city of Ismailia on the Suez Canal in a bloody confrontation that left more than 50 Egyptian policemen dead. When news of the massacre reached Cairo the following day, the city rose in flames, and many British and European businesses were attacked. Six months later, when the Free Officers staged their coup that deposed King Farouk and launched the Egyptian republic, January 25 was declared a national holiday in honor of the heroic stance adopted by the Egyptian police against the foreign occupier. Fifty nine years later, whatever national credentials the Egyptian police might have had were completely lost. Instead, the Egyptian police became a prime tool for Mubarak to tighten his grip on society, stifle free expression, arraign and torture opposition figures, and suppress political opposition. The naming of al-Galaa Bridge resembles another irony. This bridge was initially called Kubri al-Ingiliz, the English Bridge, and it acquired its new name (which translates as Evacuation) following the 1954 withdrawal of the last British soldier from Egyptian soil, thus ending a 72-year long occupation. Yet, it was on al-Galaa Bridge that I found myself during the revolution confronting not any foreign occupation force, but the Egyptian police, which was supposed to protect me and my fellow citizens. Even the name of that now worldfamous square, Tahrir, was not devoid of irony. Originally named Ismailia Square after Khedive Ismail who is credited with designing modern Cairo, the square was renamed Tahrir, or Liberation, by the Free Officers regime in 1955 to commemorate the withdrawal of British troops the previous year and to signal the revolutionary regime's pledge to help with the wider Arab anti-colonial struggle. Yet, it was that same regime which, instead of liberating Palestine as it promised in 1967, ended up losing the entire Sinai Peninsula in a catastrophic defeat. Furthermore, under the Sadat and Mubarak regimes, Egyptians felt far removed from the lofty ideals espoused by that square's name, as they found themselves humiliated, downtrodden and besieged in their own homeland. The Egyptian Revolution is still young, and the Arab Spring is still in its early days. The road ahead is bumpy, and the path to democracy will be difficult. Nevertheless, the path to dignity and self-respect that Arab peoples have started to tread is irreversible. The Egyptian Revolution, just like the Tunisian Revolution that inspired it and the numerous Arab uprisings that it now inspires, are all proof that we are witnessing a new Arab awakening. The tahrir that Egyptians and millions of other Arabs are aspiring to is a liberation not from foreign occupation, but from domestic tyranny; and the galaa they are seeking is not the withdrawal of foreign troops, but the departure of their own domestic despots. The creativity and talent that young Arabs have exhibited in these uprisings are clear signs that the Arab peoples have regained their self-respect and have rediscovered what it means to write their own histories and to chart their own destinies. 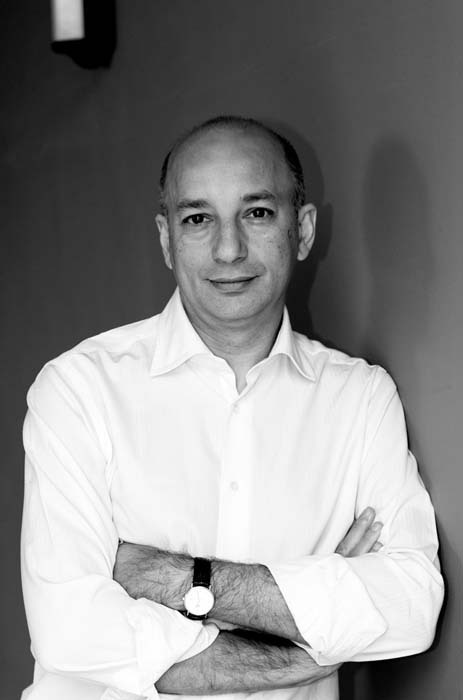 Khaled Fahmy '85, '88 is chair of the history department at AUC. I happen to live about 100 yards from an entry point to Tahrir Square, between the British and American embassies. Consequently, I had the privilege of seeing the stream of events and even hearing many of the sentiments of the crowd on the square. For me personally, the evidence of public control of the agenda came early in a response from a group of young demonstrators whom my son brought up to our apartment as the first curfew was announced. When I suggested that the group sleep over since the curfew had come into effect, the resounding response was, "Who decides that there is a curfew? It is our country, and we shall demonstrate until we are heard." A few minutes later, they were out again on the street. Since events unfolded in Egypt, demonstrations have broken out in Algeria, Libya, Jordan, Bahrain, Yemen, Syria and Iran. No situation is identical to the other, and each has its own reasons and genesis, although they all share a strong yearning for good governance. However, once again political and social trends in Egypt, now calling for greater accountability and better governance, are resonating throughout the Arab world. The political processes that will be witnessed in Egypt will continue to do so. And, therefore, they must be done properly, not only for Egypt's benefit, but for that of the Arab world as a whole. I do not doubt that the democratization of Egypt and the Arab world is supported as a matter of principle by democratic countries throughout the world. Nevertheless, even democratic countries waiver when standing on principle may appear –– at least in the short term –– to be costly politically in terms of security and/or economically. I have followed numerous debates amongst Americans, Europeans and Israelis. All of these are understandably anxious, be it those concerned with bilateral relations or those focused and interested in ensuring a sustained flow of reasonably priced oil. My response to all of them is that Arabs, Muslims and Middle Easterners are as human as all of you, no more so or no less. Like you, they will strive domestically, regionally and internationally to achieve their rights and to be treated equally. As democratic processes gain traction in the Middle East, the people in the region will not become more Arab or change strategic policy rapidly. However, needless to say, they will become less tolerant toward double standards, inequity, usurpation of their rights and freedoms; more demanding, not only of their government, but also of the world. In short, strategically, the Arab world should have about the same objectives for its region that other peoples have for themselves. Hopefully, they will be more engaged internationally and less dependent on foreign powers. If non-Arab Middle Eastern states engage seriously in efforts to resolve regional problems on the basis of equal rights and responsibilities, I see no reason for them to fret or to worry. If international players promote democracy and equality, not only in the domestic affairs of states, but amongst nation states themselves in the international arena, here again, I see no reason for serious concern. As the voice of the people exercising their democratic rights is heard more clearly in each of the countries of the Arab world, the same voices will also be heard with greater clarity and resolve in the day-to-day practice of international relations. 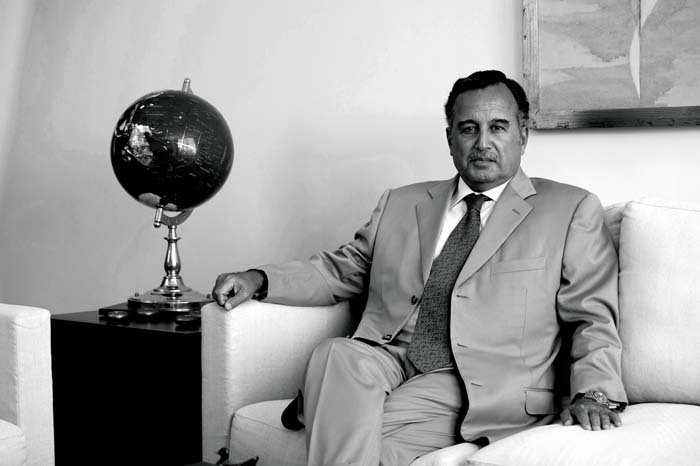 Nabil Fahmy '74, '77 is dean of AUC's School of Global Affairs and Public Policy and former ambassador of Egypt to the United States and Japan. A longer version of this article was first published in The Huffington Post on March 10, 2011. This revolution has no leader." This has been the sentiment among January 25th youth, a sea of young men and women who formed virtual communities held together by a sense of purpose. Bearing diverse ideologies, in some cases none, this tsunami of fresh brains and talent shared and pooled information and convictions in parallel with their work –– and that of others –– on the ground. Their strive for freedom echoed loudly in their tweets, pounded adamantly on Facebook walls and hammered vigorously in their viral phone text messages. These are the homegrown digital voices whose roots were implanted in blogs and forums that started earlier in the decade and set the stage for a vibrant world of digital activism. Yet, digital activists were but one cohort of the revolutionaries. The digital voice may have initiated a spark, but the fire quickly spread, extending beyond the digital arena. From critical mass to masses, it eventually encompassed Egyptians from all walks of life: young, old, rich, poor, man, woman, Christian, Muslim. It swept the nation, eventually toppling one of the most rigid hierarchical dictatorships in history. In economics, it has been argued that information technologies, particularly the Internet, have taken economies closer to perfect competition. Indeed, with many buyers and sellers, better flow of information, and freedom of entry and exit, the Internet is said to have created new opportunities to empower the small player –– individual, firm or state. At the other end, the consumer is said to have acquired a stronger voice. Such progressive economic trends have brought about new collaborative, horizontal, flatter business structures, as opposed to rigid hierarchical ones that have dominated the economic arena for long. And so is Egypt's revolution doing to the realm of nation rebuilding. Egypt's revolution is indeed a manifestation of this paradigm in the world ofWeb 2.0. The power of the Internet, Web 2.0 in particular, is in giving a voice to the small player and an immediate tool to voice it. While this revolution starts off as an outburst of anger against the status quo, its logic survives this moment to support a much longer process of building. The term Revolution 2.0 has been coined to emphasize the role of collaboration in the success of the Egyptian Revolution. A better term that has been circulating appropriately, with no one in particular to quote, is Egypt 2.0. Egypt needs to be built from the bottom up, literally and figuratively, in that the collaborative models that have proven successful in bringing down the hierarchical dictatorship be applied to developing the country. We are grateful to technology for facilitating this discourse and to the youth for bringing it to the ground. But we are now at the point where the building of Egypt and the governance of the process are to be done organically, bottom-up, homegrown. It is not Revolution 2.0. It is Egypt 2.0, and more precisely, Development 2.0. 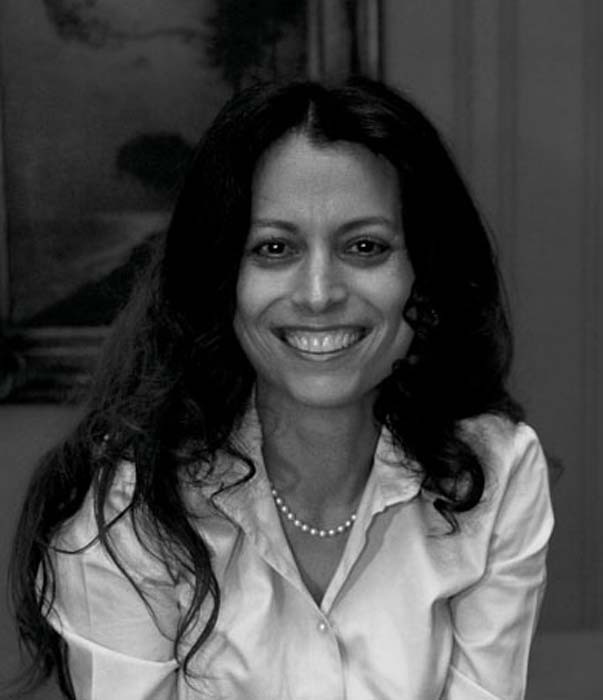 Nagla Rizk '83, '87 is associate professor of economics, associate dean of graduate studies and research at the School of Business, and director of AUC's Access to Knowledge for Development Center.